Sure it has the powerful figures in brightly colored spandex, the panel discussions and the general sense of wonder and revelry. It even has table after table of crafts, self-published novellas and comic books. It’s a comic book convention, no doubt about that. But this isn’t a mere festival of consumerist nerddom, at least not first and foremost. The Black Speculative Arts Movement (BSAM) festivals are rooted in the burgeoning multimedia phenomenon that is Afrofuturism — an arts movement bound by the idea of creating a liberating space for African diasporic people who dabble in technology, music and art that moves through a science fiction lens. Unlike many conventions that appeal to one’s inner geek — Comic-Con, Philcon, the Hugos, Philly Geek Awards — Afrofuturist happenings are deeply rooted in a socio-political context that underlines the glaring disparity between mainstream geekdom and the many culturally diverse artists who feel left out of it. Enter Maia “Crown” Williams. Crown — as she often prefers to be called — spent time in the trenches of the Detroit speculative arts scene, toiling in thankless positions for a small, slowly flowering community and perfecting her curatorial craft. All the grunt work paid off. Her genius as a curator first saw its truest fruition in the still ongoing event series MECCA (Midwest Ethnic Convention for Comics and Arts), a countrywide gathering of black comic book writers, artists and publishers. After MECCA’s hard-earned success, Crown, along with co-founder Reynaldo Anderson (associate professor and chair of the humanities at Harris-Stowe State University) decided to go truly national with the Black Speculative Arts Movement, creating a sort of roving Lollapalooza for budding Lt. Uhuras and Luke Cages — black nerds and geeks who, at one point, seemed dormant in the crevices of America’s academic halls and comic shops and out on the streets. With events happening in places like St. Louis, Brooklyn and Toronto (and, in the coming years, Nova Scotia and Barbados), and, of course, our very own Gladfelter Hall on Temple’s campus here in Philadelphia this Saturday, Nov. 12 , the traveling festival will shine a light on the true diversity of creators and ideas that vie for room under Afrofuturism’s canopy, an admittedly snug fit. 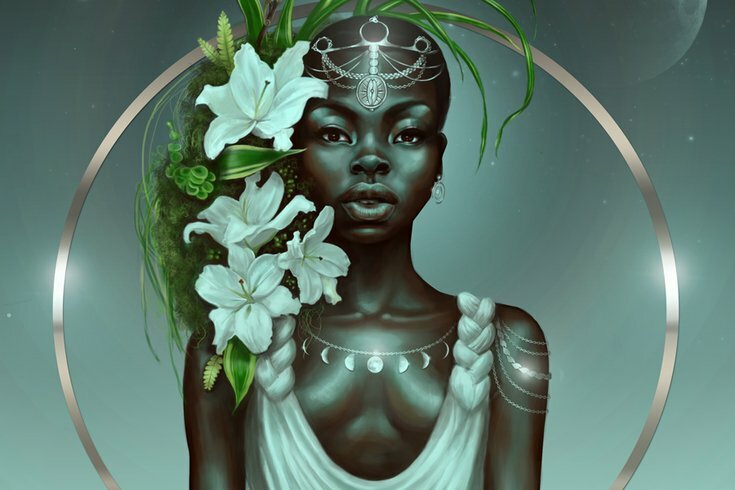 Black Speculative Arts, Crown says, is “a loose umbrella term represented for different positions or basis of inquiry.” Included under that umbrella are Afrofuturism, Astro-Blackness, Afro-Surrealism, Ethno-Gothic, Black Digital Humanities, Black (Afro-future female or African-Centered) Science Fiction and more. It may seem like a more cerebral approach to laser-guided spaceships and cosmic MacGuffins, but at its core is, well, laser-guided spaceships and cosmic MacGuffins. You know, fun. 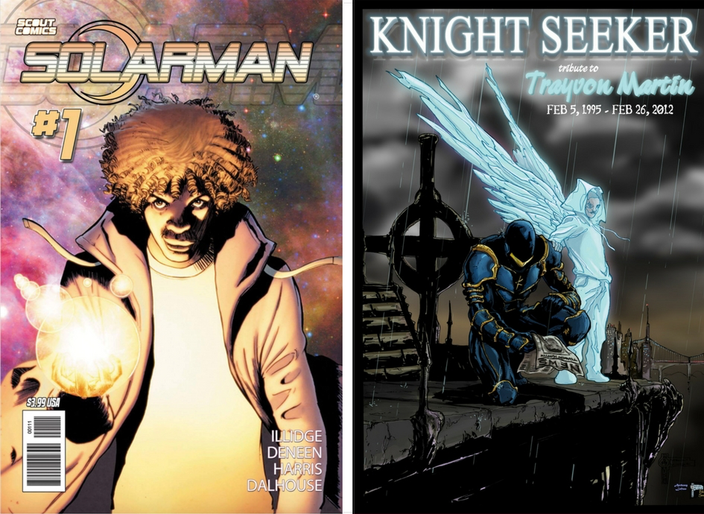 N. Steven Harris' “SOLARMAN” and Eric Cooper’s “Knight Seeker” offer more diverse takes on the superhero story. While most tend to prescribe a sense of seriousness and the academic to Afrofuturism, BSAM lists among Saturday’s presenters N. Steven Harris, whose monthly comic book work, “SOLARMAN,” is about an African-American teenager who hacks into a cybernetic alien symbiote’s bio-system, gaining solar powers by download. Or perhaps Eric Cooper’s “Knight Seeker” — a series of superhero novels about a Batman-esque vigilante who stalks the inner city — is where the intersection of social activism and artistic levity converge, to breathtaking results. Despite existing in an era when many African-Americans feel disconnected to the larger conversation in many arenas, Afrofuturism and black speculation have become hot commodities. Many people of all ethnicities are demanding a more diverse representation from the arts and entertainment they consume, and in some small ways, publishers, studios and even the often diversity-challenged comic book industry have obliged. Yet there is still a pushback from many fans whose lightsabers and ruby quartz visors don’t seem to work for black people in the strange universe of their minds. Crown insists that, despite some financial setbacks, she’s ready, and she thinks the world is, too. Finding a sister city like Philadelphia is a start. In a place known for being nurtured by such visionaries as avant-garde Egyptological sci-fi jazz artist Sun Ra and Samuel Delany, former Temple professor and a multiple Hugo and Nebula Award-winning writer ("Dhalgren," "Babel-17"), BSAM seems to have found an ideal autumn home.